Surprise! The amazing J.A. Bennett volunteered to fill my trope post this week. How cool is that? Revisions are going well. Thank you everyone who commented and read my hiatus post. Your words are ultra encouraging. There are many ways to build suspense in a story: secrets, lies, action, betrayal, but what about those times when suspense needs to be a bit more subtle? The Mysterious Letter - a way to create mystery without being direct. The main character will receive a letter, but the contents of the paper aren’t shown until later in the story. Sometimes the letter will incite the character to action and other times the letter is kept secret, not by their own choice, but because it is kept from them. Harry gets a letter addressed to him in green ink, but he doesn't know what it says until Hagrid brings it to him. In Letters to Juliet, a letter is found in a mysterious place, but the contents of the letter are known. It isn't until the character finds the owner of the letter that the real action begins (wink, wink, nod, nod). The letter can also be a series of letters. In P.S. I Love You, the main character loses her husband to a brain tumor, but before he dies, he writes her ten letters that takes his wife on a journey to find life again. Whether it be romantic or intriguing, The Mysterious Letter can add a rich layer of suspense to any story. I'm J. 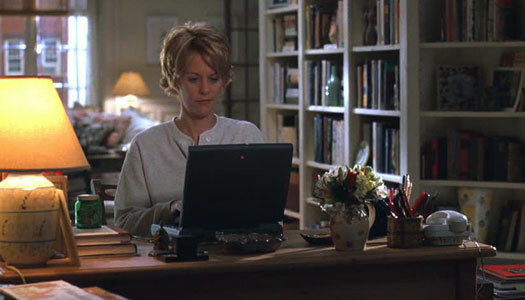 A. and you've got mail! "Geez ... stop forwarding this crap to me!" I recommend watching THE LOVE LETTER with Kate Capshaw, Tom Everett Scott, and Tom Selleck. Great film. I always enjoy letters in stories or movies. There is always something mysterious about them. Mysterious letters are the greatest plot devices. They never seem to get old and work beautifully! Welcome, JA! David's trope posts are my fav! ANd the mysterious letter thing is so right! I've used in in two different ways in two different novels. Thanks for sharing! Not had a need for a mysterious letter yet, but a mysterious message would work just as well. Fabulous tips - gets the old creative juices going. Thank you. JA is such a good writer. Television does this to great effect too. In the season one finale of "The Walking Dead", Rick is whispered something by Dr. Jenner. We don't find out what that whisper was until the season finale of season two. Yeah...we had to wait more than a year. But the suspense added to the series. It gave the fans brain food. So you are right. Mystery fires the imagination. Great post J.A. I have yet to watch the walking dead *hangs head in shame* But I agree, that whisper would keep me on my toes! I totally love the mysterious letter (or email) trope. Like that one show when they exchange letters through the mailbox from the future or something. Not exactly the same, but it was the whole premise of the story. OH, I loved that movie too. Excellent post! And I, too, loved the movie The Lake House. :) There's something endearing about letters. Maybe because we're writers, eh? Love the letter trope. And OH MAN, did I love P.S. I Love You. Such a great movie. Thanks Jen for helping David out. Good luck on the revisions, David! love JA! nice surprise to see her here! great trope, i like this one. And LOL at the song. Great points. I forgot about using this in a story. Thannks. There's a book series where we don't find out what was in a particular letter for about 7 books ;) Yes, that one's a series that really puts the "epic" back into epic fantasy. This is a great trope that I never thought of. Great post J.A. Love this trope. Wouldn't fit into any of my current projects, but there is always later!! We miss you David, but J.A. did a wonderful job filling in! I love this post, and I love the examples. "(That makes water come out of my eyes - not joking.)" It did me even before I read this. Terrific suggestion. I never put two and two together with the letter thing. This is a great way to add subtle suspense. I LIKE IT! Thanks A. J. Thanks David for featuring A. J. today. Great post! I have a mysterious letter in my book, too! And David, good luck with the rewriting on your hiatus. David - keep on going strong with your revisions. You can do it, man!